Exciting news for procrastinating travelers: Hotel Tonight, the iOS and Android app for booking last-minute hotel rooms, just got a big chunk of change to help it take on hotel bookings outside the borders of the United States. CEO Sam Shank said Tuesday that the company has secured $23 million as part of a Series C round of funding led by U.S. Venture Partners, which includes participation from Accel Partners, Battery Ventures and First Round Capital. As part of the deal, Rick Lewis, a USVP general partner, to Hotel Tonight’s board of directors. Shank said Hotel Tonight was looking forward to taking advantage of Lewis’ expertise in e-commerce. The round brings the company’s total funding to $35.85 million. “The key is international expansion,” Shank told me in an interview. “We see a big opportunity for taking the HotelTonight model and what we’ve learned operationally to international markets.” He also plans to use the money to add to their current team of 45 people set up in San Francisco’s South of Market neighborhood. But the company has expanded quickly nonetheless. 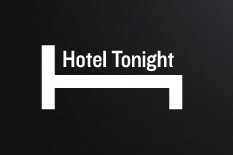 Hotel Tonight launched in early 2011 and has 2 million downloads of its mobile app. It announced in April that its app for booking a hotel the day you need it was coming to two international cities, Vancouver and Toronto, but the company clearly has its eyes on Europe: it recently set up an office in London. But this won’t mean Hotel Tonight is done with the domestic market, where it is already available in 40 U.S. cities.